It is well documented that the world will need to produce more food to feed a growing population. However, it is estimated that at least 30% of current production does not reach the human stomach. The Waitrose War on Waste programme is a comprehensive look at where waste is being generated, why it’s being caused and produce an appropriate response. Aside from the social challenge, wastage in the food chain presents an economic stress at any point in which it occurs, from the farm through to retailer. One popular tactic in addressing food waste is to look at supermarket specifications. Although this can be an important part Waitrose has looked at all specifications to ensure there is a clear differentiation between cosmetic blemishes and progressive defects that could disappoint the customer. Each specification must be relevant to the crop standard that is available and leaves scope for flexibility in times of high demand or shortage. There have been great strides in reducing crop waste using plant protection products, improved agronomic management, precise nutritional control, post-harvest management including chilling, controlled atmosphere stores and packaging technologies that extend the life of the product. In recent years, there has been a massive reduction in farm waste on some crops. 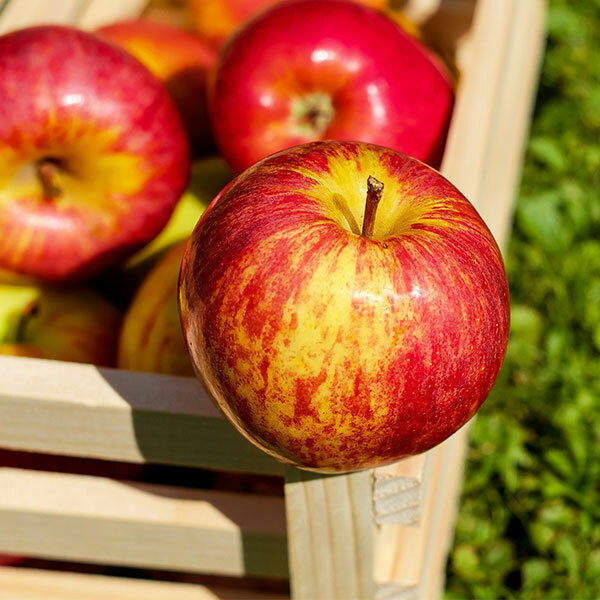 For example, the progress in the soft fruit industry with new varieties and covered crops has dramatically altered efficiency and extended the UK season. In the field losses to potato blight are relatively low compared to the 1960s. However, the demand from retailers for washing potatoes exposes a range of skin blemishes which can be defined as progressive and non-progressive. Stock management, consumer demand and the weather can play a significant role in accumulating waste in the supply chain. Communication from growers, through the supplier to the retailer, play a crucial role in avoiding unnecessary waste. A first-hand example of waste reduction at the retailer end can be seen in the soft fruit category where our suppliers operate at around 90% of the product that we would wish to purchase. However, at times of high demand, we will accept larger or smaller fruit to obtain the volumes. In addition, we will acknowledge unexpected high availability by promoting or if the weather allows, supplement the orders for our branches. Therefore, our waste figure is reduced even further allowing almost 100% of the crop production to be sold. Not all categories are as straight forward as that. Potatoes, leafy vegetables, open field salads, are currently being commercially grown with waste levels set for 20-50% and this is simply not sustainable. This is due to the overall climatic variability open field crops are exposed to. Growers make every effort by choice of varieties, site selection, cultivations etc. but we recognise more is needed. The definition covers the stock that the grower has made inputs to grow for Waitrose. This is essentially a value chain analysis (the removal of all inefficiencies). This reality means potentially lower returns for the farmer with potatoes or crops going to stock feed. The prices paid within the supply chain system demand that the grower achieves the highest proportion of class1 possible, or, in this case, products suitable for Waitrose. This has been a challenging point to get across as many growers do not wish to admit that there is substantial waste within their chain. The War on Waste project is not about blame, but it is about understanding. The inputs used for growing crops, the price of land and labour used is an expensive part of food production and therefore reducing the amount of waste is in everybody’s interest. The farmer is the key player choosing the land, the seed, the cultivation methods and the crop husbandry. However, retailers have a role in giving as much notice as possible about the type and quantity of crops they are looking for. Usually, this is articulated by a supplier or another intermediary group. Therefore the scope covers pre-farm, on-farm, post-farm, storage, packing, distribution and retail. All these points have a role to play in measuring waste. If for example, our specification is causing undue waste, then the project will expose this, but it is not a solution for the selling of fruit and vegetables we never wanted to produce. It could be a solution for acts of God, or the ever-increasing challenges placed upon us by climate change. We have five research themes, soils, water, biodiversity, inputs and waste. The overarching demand is our need to buy the highest quality food. When assessing our progress on waste, it should be an output of activity on the previous four, so for example, improved soil health = lower water usage = higher biodiversity = lower chemical inputs and finally lower food waste. The eternal truth here is that lower food waste equals higher quality. From our review of many case samples, we have found that high food waste within a crop is intrinsically linked to the overall quality. So leaving aside the economic and social aspects of food waste a retailer like Waitrose will always look at the waste as the indicator of crop performance.The Waitrose Agronomy Group take ownership of the waste issue, one key tool for measurement is the Waitrose Farm Assessment. The most challenging part of our strategy has been gaining all round acceptance and understanding of War on Waste. If you are a grower for Waitrose reading this document and simply not calculating your waste, then you are probably not achieving the potential return for your farm. In our technical conferences and the videos on this portal the background is all about how we reduce food waste.Mitigating climate change impacts on crop production should be our most important challenge. There will be radical solutions to this, for example, crop production may move continents, it may move from open field to under structures, or we will simply have to produce more of the food that is sustainable and less of the food that is not. Those of us working in the fresh produce industry can see how crop production has changed from many small growers to a relatively few number of large growers. This will only continue. In the UK, for example, most lettuces supplied to supermarkets come from one large and very sophisticated company. The number of potato growers has declined from 20,000 to under 2,000. What we are trying to do, working in collaboration with suppliers, growers and scientists, is to stop this trend and ensure that those left in the trade are viable in one of the most competitive markets known. Potatoes are a fresh product and it is very difficult to legislate for extremes of weather, which can produce challenges. The war on waste is summarised in 4 categories, which is based on the methodology employed at the outset of the project a few years ago and covers the areas where waste occurs. Fields lost from the programme is where there has been some significant success. This has been achieved by working with fewer key growers, which are approximately 30 conventional growers and 6 organic growers in the UK. This has meant that the growers deliver the programmes more reliably. However, with the extremes of weather that appear to occur more often due to climate change, it still remains difficult to achieve 100% delivery. New varieties are being introduced not just with improved taste, but also shorter season (2nd earliest) varieties, so that they cope with extremes better. The waste on the farm has been reduced, but only slowly. However, this may start to rise as we move to larger minimum riddle size for some varieties as we strive to encourage consumers to pick up more uniform pack sizes. Damage and bruising are still areas where there are high losses which will still make up approximately 50% of the above figure. Despite improvements in harvester’s weather and soil conditions combine to affect the losses.Losses from greening are improving. Losses during the packing process still remain high. Once the crop is washed it is still exposed to defects that need to be removed and cannot be removed at harvest when dirty. Whilst we are doing much in-house training on how to manage the specification, the reductions in losses are low, but going in the right direction. 4 pack Bakers produce the largest losses because the giveaway is so high, can be around 25%, but this is being analysed and processes put in place to reduce this. 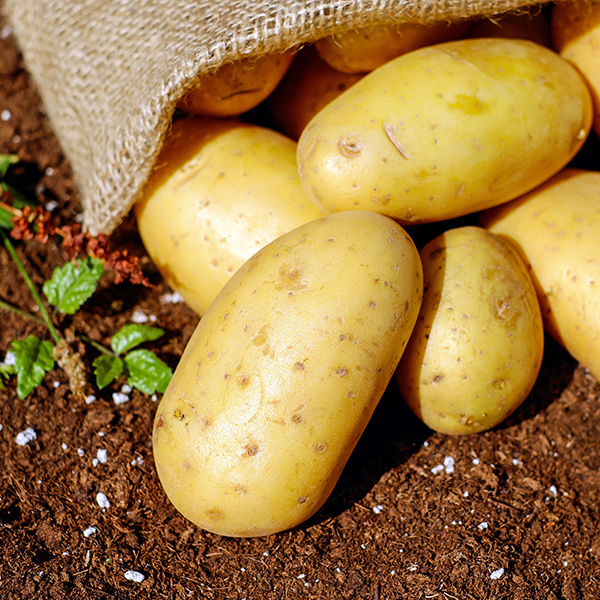 Good potatoes in the waste are regularly measured and this is at a very acceptable level – approximately 1-2%. Introduction of RAGs has increased pack outs by 5%Waste and reductions measured, based on % of sales have increased since 2012 from 4.1% to 5.5%. Planned waste in the store is going to be driven by an initiative to be started soon. This will include measuring in-store availability, better programming, pack size/case count, date coding and sales order management. We have found a challenge. There is often denial about waste with the justification that the food may be used in other forms e.g. lower specification markets, animal feed fuel etc. However, by focusing on measurement at all points of the process and working as a team (retailer, supplier, grower and scientist) huge strides can be made. However, the weather plays an increasingly influential role in food production due to climate change. Our farmers are implementing strategies to adapt and mitigate to a changing growing world and for some, this means ceasing to grow certain crops, huge investment or changes in production methods. The removal of underperforming varieties and clones and replacing with higher yielding class 1 alternatives. The adoption of new and novel pest and disease products that deliver greater performance on the crop and therefore increasing yield and quality. Post harvest technology developments – the introduction of Dynamic Controlled Atmosphere storage has reduced the need for certain post-harvest chemicals and also increased yields after long-term CA by up to 10% in some cases. In the UK, the challenge of reducing waste sparked some innovative thinking on orchard management technologies. During 2015 we have seen the launch of Pomvision, an orchard based fruit counting device which enables growers to map yield to tree via GPRS and therefore focus on micro-management regimes for their underperforming areas on the farm. A small increase of 5% yield and quality grade out in the orchard performance can add over 10% in net profit back to the grower. The introduction of Its Fresh pads in Ripe & Ready pear packs has reduced waste down to all-time low levels and driven increased availability and sales opportunities in the range.If you add the 10% during growing to small wins post-harvest (storage and retail) you could save up to an extra 15% of the crop now being utilised for class 1 sales at retail level as a result of agronomic and management strategies.